This is a rare chance to own a home in Mt Vernon Canyon Club. Located minutes off the âbuffaloâ exit of I-70 with the amazing views, youâll find this gem of a community. With 1,400 acres of private naturally preserved land adjacent to thousands of acres more of open space, this isnât like any other club youâve known. The Proprietary Membership that comes with owning one of these homes includes privileges to all that land, horse boarding (subj to availability), dining facilities, outdoor swimming pool, tennis, and so much more. 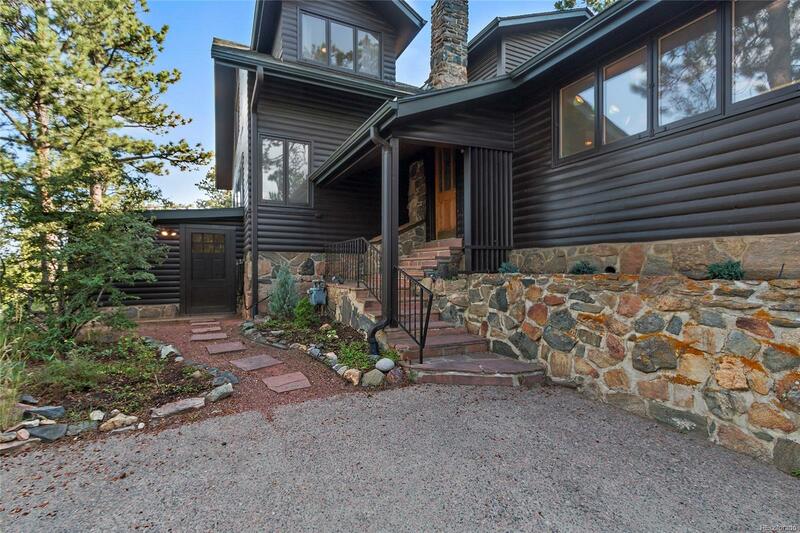 Originally a 1940âs cabin, this beautiful home has been expanded and now includes a stunning bright vaulted kitchen with adjacent open living area, walls of windows with spectacular views of the foothills and twinkling city lights, a separate apartment, a spacious attached 4 car garage and so much more. Enjoy the photo tour, schedule your showing soon, and make sure to allow extra time to check out the club amenities, too. Youâll be glad you did.